The Delta Kenty property located in Northern Quebec is a major nickel-copper producing area, and is a joint venture operation with Glencore. Historical resource calculations have already shown this location to be of high value, containing promising amounts of nickel, copper, palladium and platinum. Our goal is to update these historical calculations to meet current 43-101 standards, and prove absolutely the wealth of this claim. In a more recent drill program, it was seen that the mineralized zones actually intersect, thus demonstrating a very significant discovery potential at depths of over 200 meters. 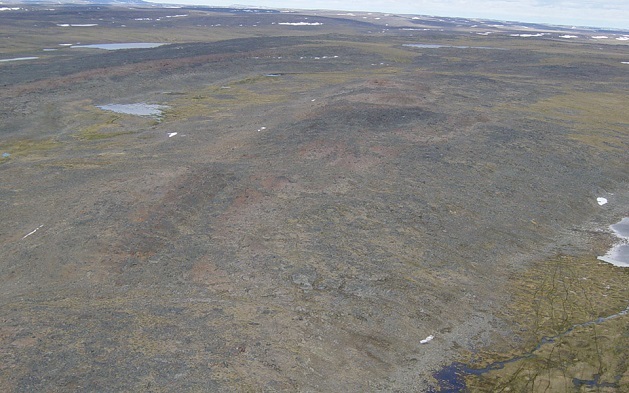 The Kenty Lake property is located in the Povungnituk Group, part of a grading sequence into oceanic crust. This area is characterized by complex mafic and ultramafic intrusions into a volcano-sedimentary grouping of rock consisting of mafic alkaline volcanic flows and clastic sediments that are sulphide bearing. Some of the intrusions host the nickel sulphide mineralization. There are also several nickel-copper PGE occurrences on the surface of the property. In 1997, a historical non NI 43-101 compliant geological resource estimate of 817,000 tons grading 3.05 % nickel, 1.26 % copper and 2.6 grams per ton (g/t) of palladium and platinum was reported (Falconbridge 1997). This resource has been delineated by a total of 58 drill holes.